So. Last night I got curious. 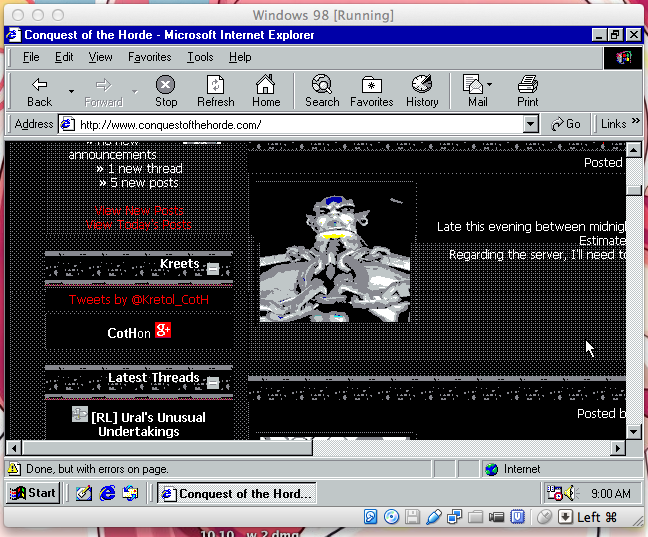 What would CotH look like on Windows 95? 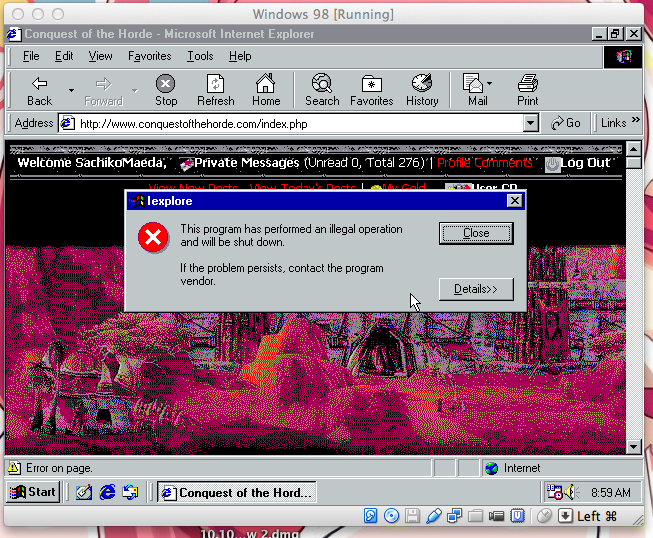 Though for some reason, all my Windows 95 virtual machines kept bugging out too hard and were unstable. So, I turned to its older brother Windows 98. Though it was rather late in the night when the adventure started. First I had to clean up the Windows 98 virtual machine I was originally going to tear up with malware... 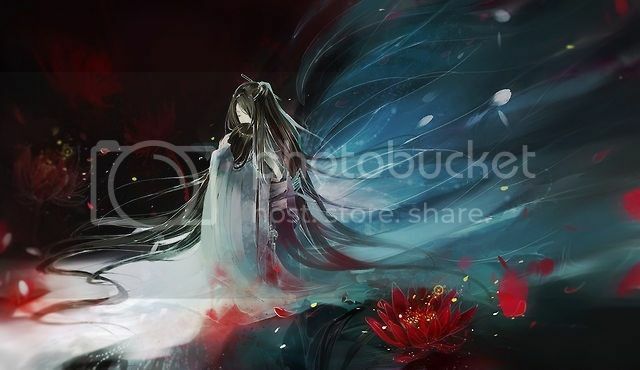 But once that was done, I loaded up IE 5 and set out for the forums. And here it sat. All. Night. I let it do its thing while I slept. When I woke up, it was still like this. Was it not going to work? I shrugged and did what an impatient person does best. I hit refresh. And it worked! Look at that 16 color goodness. 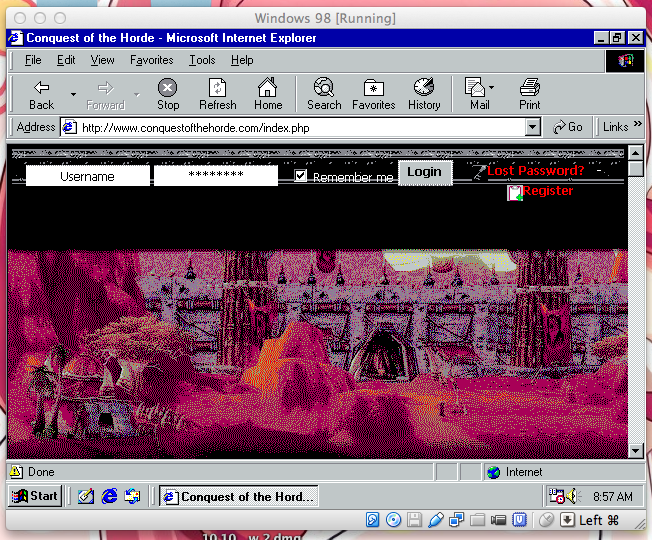 I can't really play around too much with the color settings on Windows 98. I need to mess more with the virtual machine's settings to see if I can make the resolution any higher or up it to 256 colors. But, this is running bare minimum graphics. Just look at our overlord @Kretol in 16 colors. I was gonna go do my thing around the forums and even write this post from it, but as it seems doing too much on the forums causes IE 5 to crash. I can only load a couple pages before IE 5 performs some sort of illegal action like the criminal it is and shuts down. 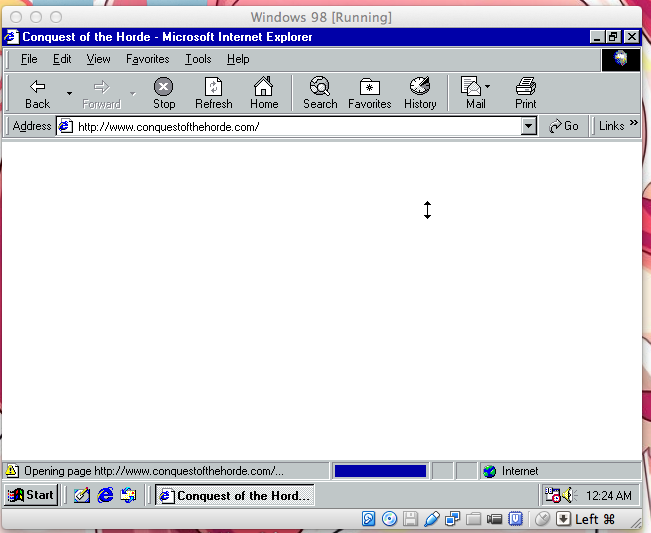 Next time I think I'll try and set up Windows 3.1 and see how the internet likes it. I think it'll be an adventure. Bonus picture shows the difference in resolution of Windows 98 at 640x480 and OS X at 1920x1080. My background is cute. Deal with it. Reminds me of when I'd play around with destroying things just like the vinesauce videos. It's still easy to get ahold of all the garbage that can just wreck a poor little 95 or 98 machine. I'm probably gonna gather some junk parts around the shop and Frankenstein together a Windows 98 computer. I found one in the room for to-be-recycled computers with a Windows 98 SE key on it. I have a Windows 98 SE disk. It's promising. Plus it'd probably be a good idea to have a toy computer for messing with that won't be connected to the rest of the network. I could use it as a malware storage locker. What are you doing with your life..? Being awesome on eight different levels. (10-10-2014, 10:15 AM)Sorum Wrote: What are you doing with your life..? Playing around with computers and being mean to them is fun. 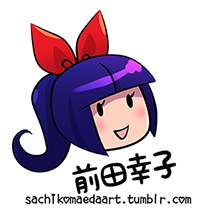 (10-10-2014, 11:34 AM)SachikoMaeda Wrote: Being awesome on eight different levels.